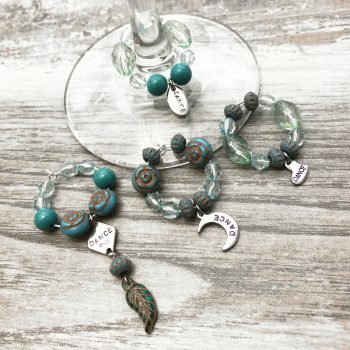 These wine bottle charms are so much fun! 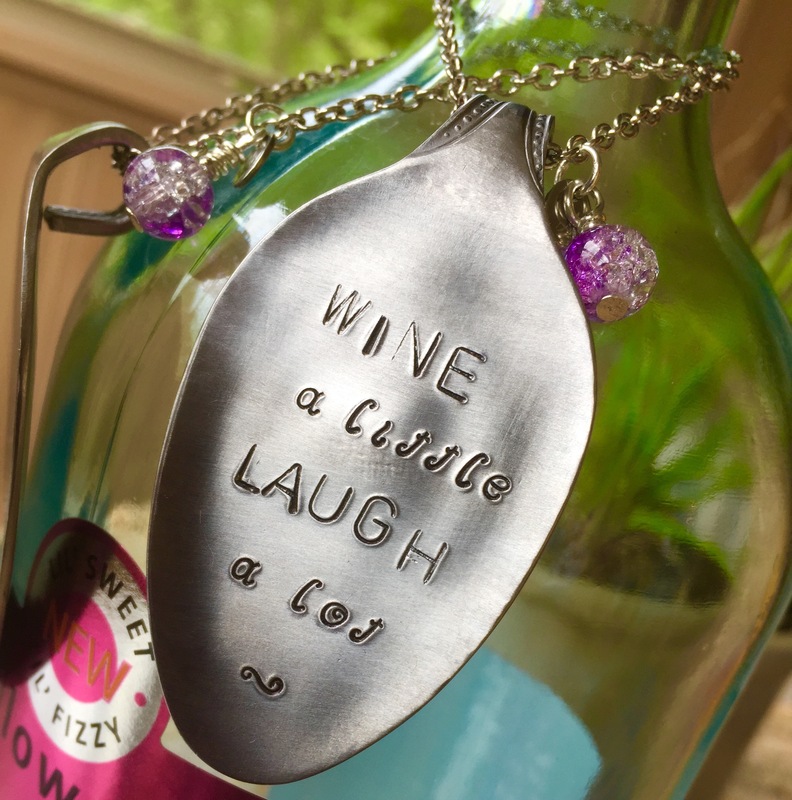 Hand stamped with “Wine A Little, Laugh A Lot” and garnished with a beautiful hand-wrapped grape inspired crackle bead. 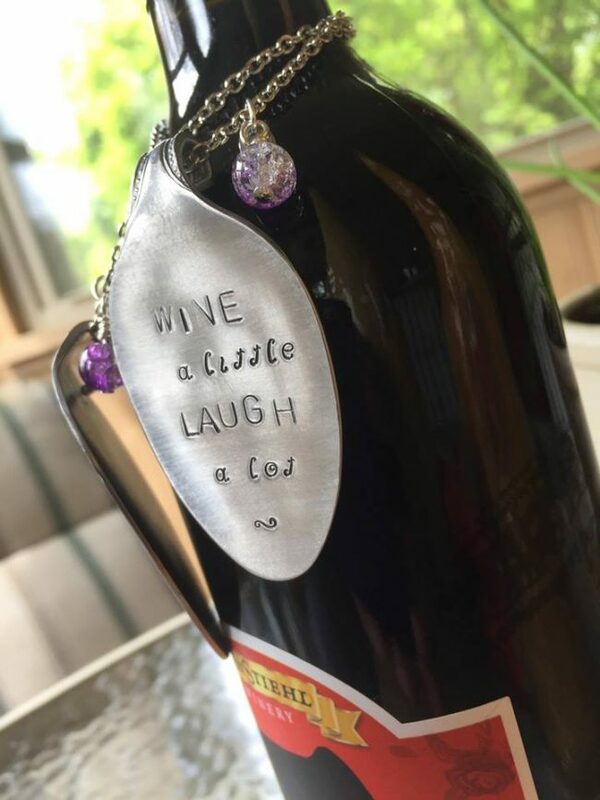 The perfect addition to your hostess gift or to dress up a special bottle of wine. 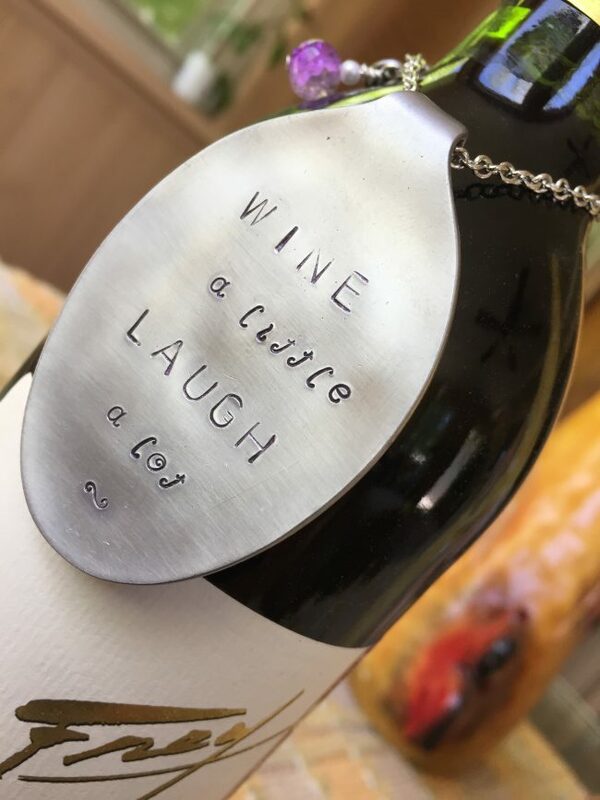 NOTE: I sell a lot of these pieces so you may not receive the item pictured but will receive one very similar. 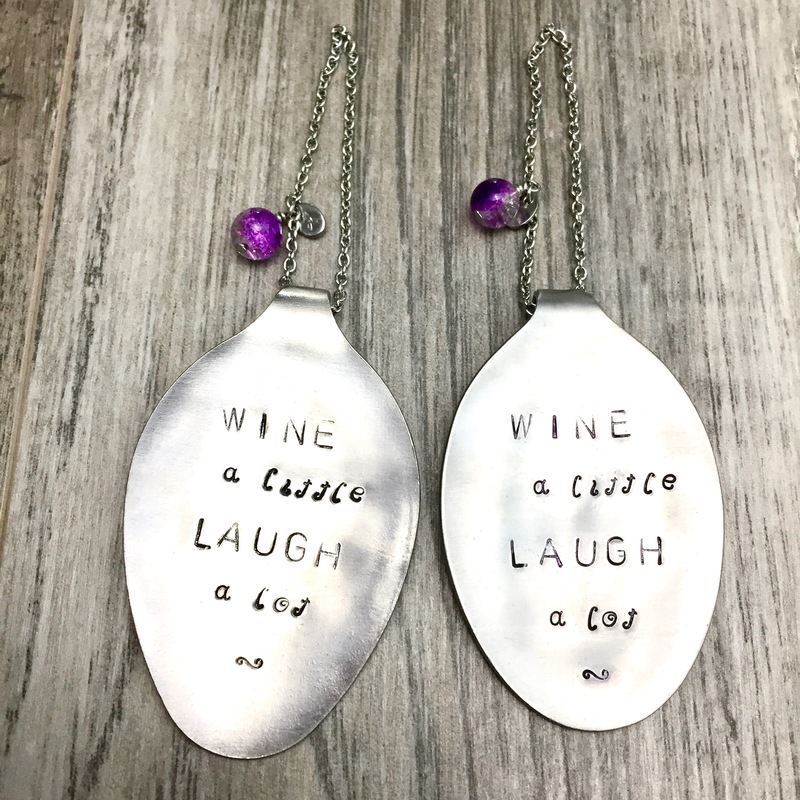 Pictured are a few variations to show variance in spoon shape and text lettering. Each hand-stamped spoon hangs perfectly from a 5 inch chain and is adorned with hand wrapped beading.